4th of July is almost here and you're probably planning a BBQ, a picnic or a party. Instead of buying expensive decoration why not use papers and stencils to create everything you need to decorate your festivities! 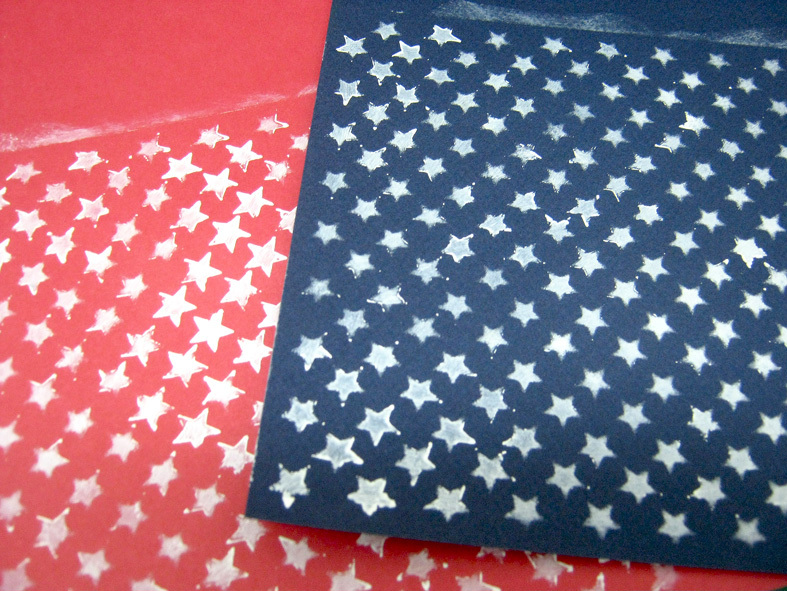 I used Ann Butler's Stars Art Screen to create a white stars' pattern on red and blue papers. I used a white Posca pen, but you can also use white acrylic paint or modeling paste. To create a blue or red pattern on white paper the best thing to use are acrylic paints. Once your pattern is ready you can create all your decorations. Here are just a few samples and ideas. 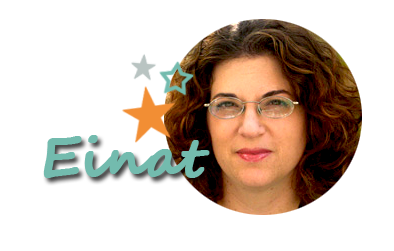 You can find many more ideas online. 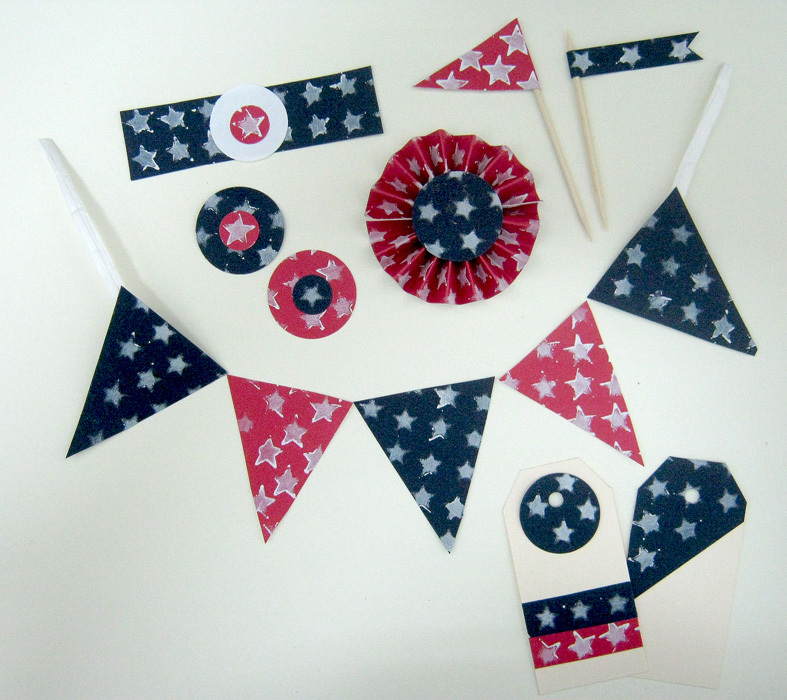 I creates a banner, cupcake toppers, bottle or glass wrapper, mini flags, a rosette and tags. 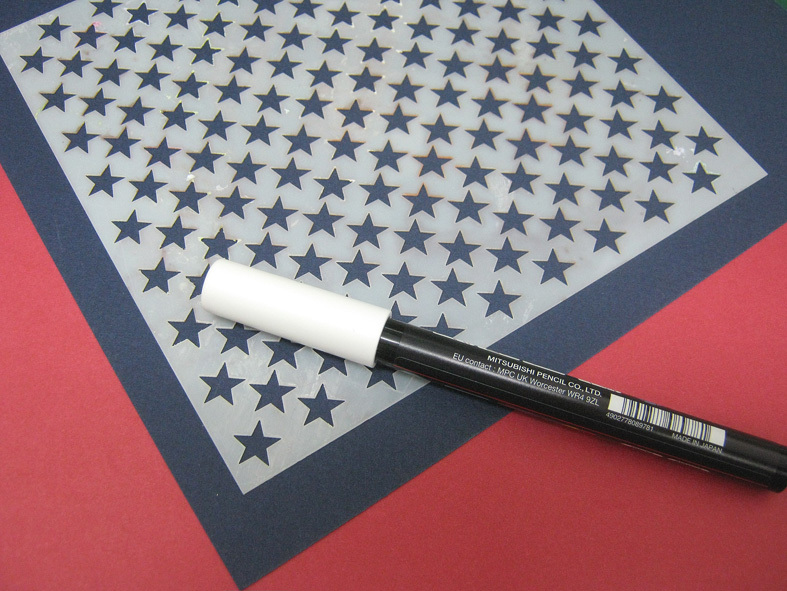 You can customize any decoration by making it larger or smaller, use different papers and create different patterns with the same stencil. This is also a great activity for your kids. 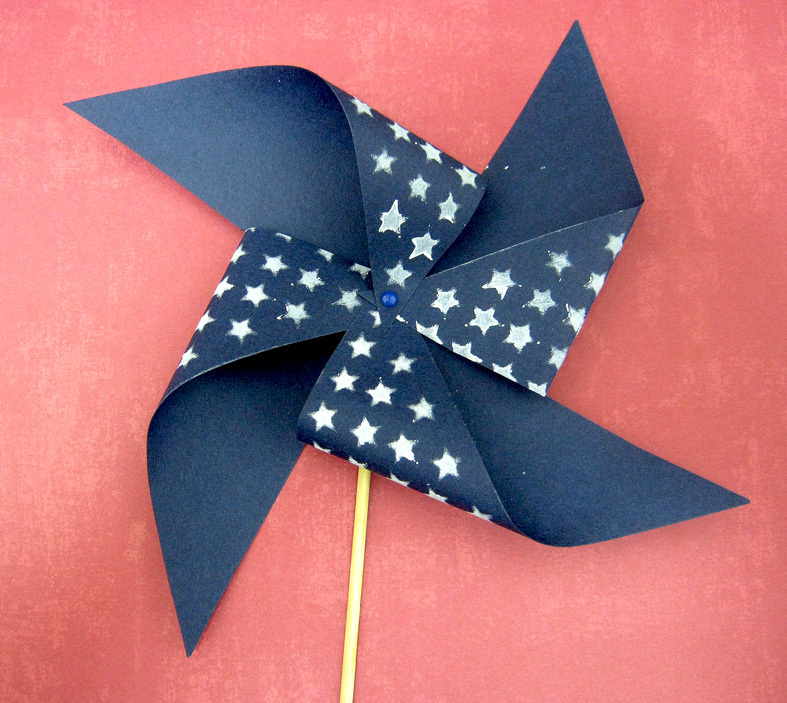 How do you decorate your 4th of July party?